Lately I have been interested in revisiting things from my childhood, the awesome 80's. It was different back then, kids actually played with toys and not just electronics. Characters were invented by toy makers not just television. I had some die hard favorites that to this day I still cherish and often wish I could share with my own girls before they get too big. 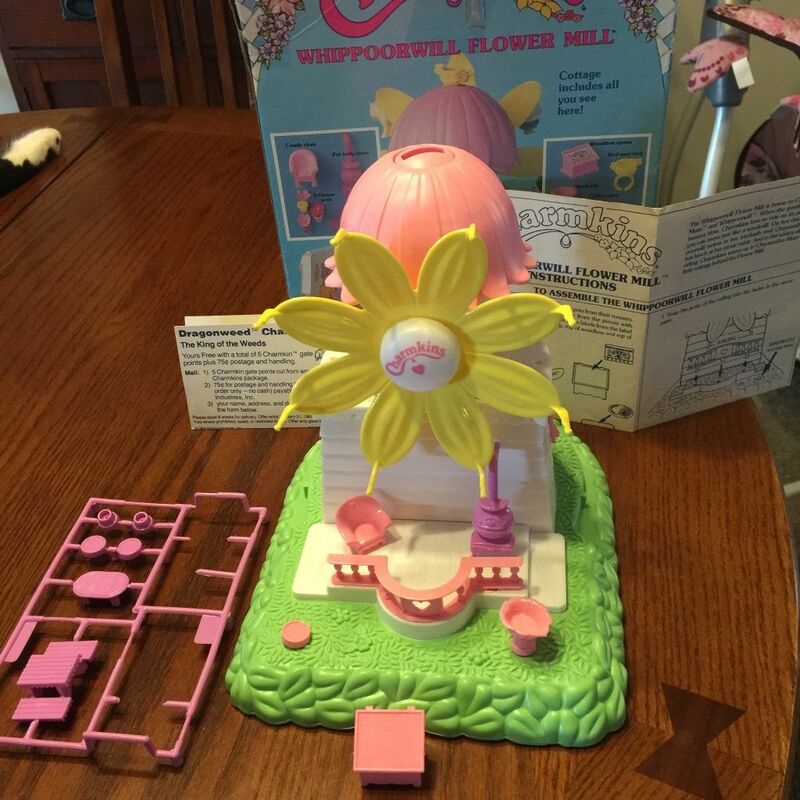 Charmkins by Hasbro are at the top of my list. In fact, I often talk about them to my family because I had a rather large collection that my grandmother helped start and my mother lost/sold/gave away at some point after I left home. I am still devastated and remind her of this often. It is a long running joke in my family but truth be told, they were my most cherished childhood toys. 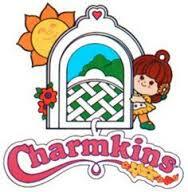 Charmkins were a series of characters that included little people and animals that were the size of a large charm. 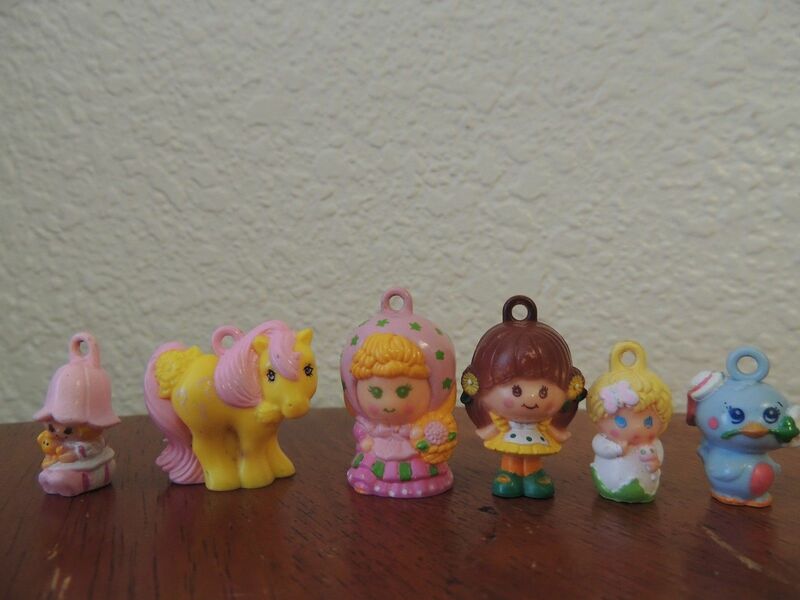 They were a rubbery plastic and had loops on the top of their heads so that they could be attached to something you wear like a bracelet or to accessory toys that you could buy. They also had holes on the bottom so they could be stood up in certain spots in the houses and cases that were sold as well. I remember that they also smelled but no nearly as strong as Strawberry Shortcake dolls (another love of mine from the past). My collection was made up of the Whippoorwill House. It was a pink windmill house that you could attach the Charmkins to and spin them around. It opened up on the back side to a living room of a house where the Charmkins could live and play. 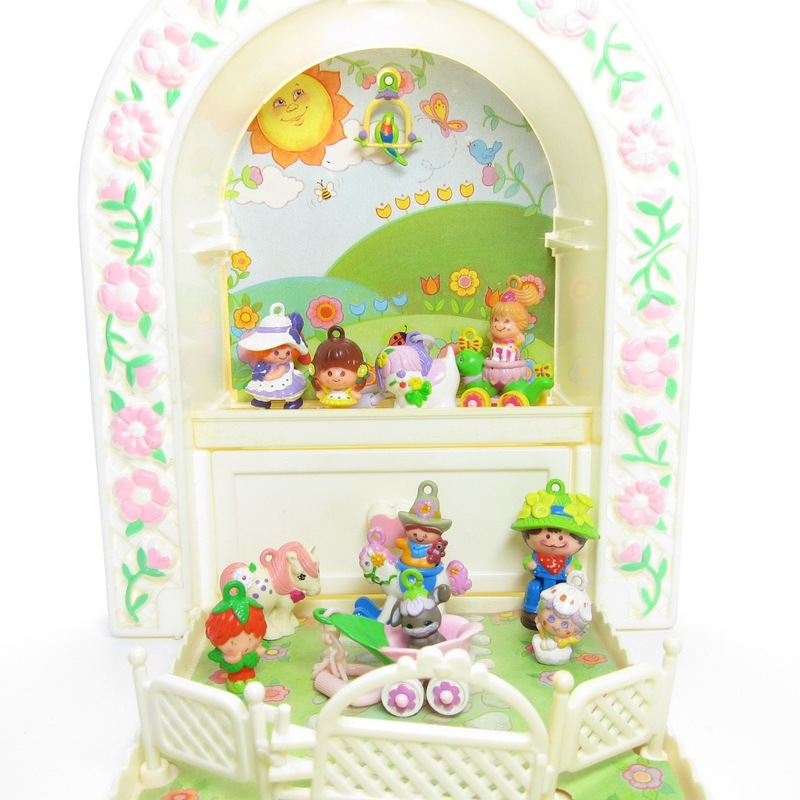 It also came with tiny pink furniture for the Charmkins to use. I also had the Jewelry Carrying Case which would store all the Charmkins but also folded out to be a little garden display. I loved organizing from a young age and I definitely kept my Charmkins orderly. There was a small box on the bottom to store the accessories that came with each character as well. Some of my favorite characters I owned were Brown-Eyed Susan, Wee Willie Winkle, Blossom, Chrysanthemum, Buttercup, and Popcorn. I remember my collection was so big that I filled the entire carrying case. Brown-Eyed Susan was my favorite not sure if that had to do with the fact that I was a brown-haired, brown-eyed girl myself or I just loved the Van Morrison song, Brown Eyed Girl. 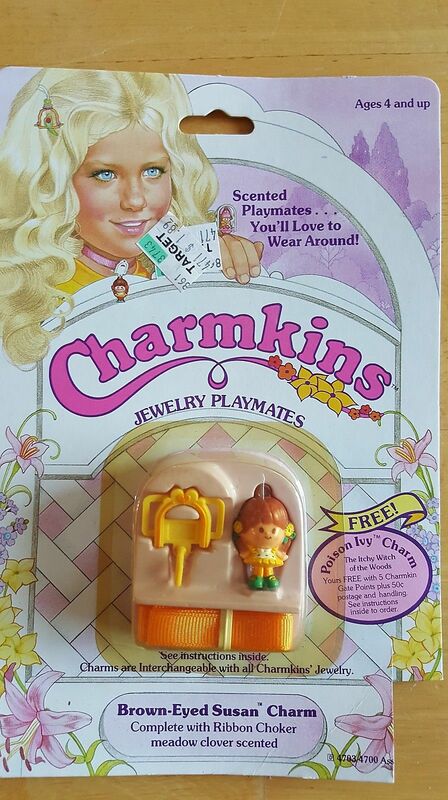 Several other Charmkins products were made in the 80's including a movie (only available on VHS as far as I know), coloring books, a game, and paper dolls. Don't get me started on paper dolls because I seriously loved those too. 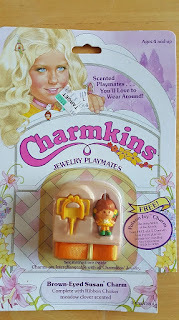 You can still find Charmkins on Ebay these days, sometimes even new in packaging. I love how retro the packaging is with bubbly letters. I've considered restarting my collection again. 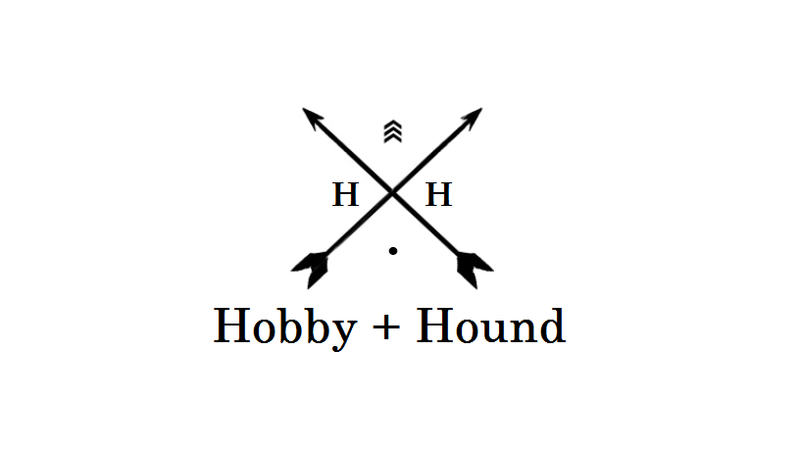 It kind of goes against my minimalist focus lately but I admit... I really do miss them.